“The Sound of Music” Opens in St. Louis at the Muny Tonight! 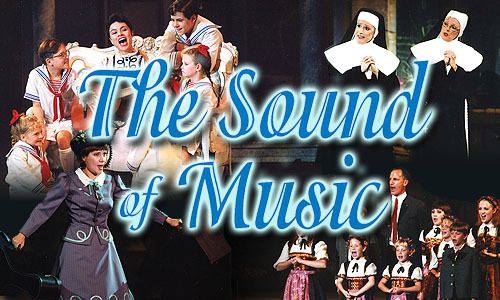 Tonight, The Muny continues it’s summer of great musical theater with “The Sound of Music.” The stern Captain VonTrapp discovers a new love for his children when the irrepressible novice, Maria, brings laughter and music back into their lives. Featuring great music, this is one of Rodger and Hammerstein’s most loved musicals. The show starts tonight and runs through Sunday, August 1. Performances start at 8:15 every night. The show features well-known songs such as “Climb Ev’ry Mountain”, “Do-Re-Mi” and “My Favorite Things”. Ashley Brown stars as Maria, and Tom Hewitt as Baron Von Trapp. Ms. Brown has been to the Muny before performing as Rose in Meet Me In St. Louis. Other notable performances around the country include Belle in Beauty and the Beast and the title character in Mary Poppins. Mr. Hewitt has performed in shows including Othello, The Lion King, Peter Pan, and Chicago. He also received a Tony nomination for his performance as Frank-N-Furter in the 2000 revival of The Rocky Horror Show. This would be a great show to bring the whole family for a night out under the stars. Purchase tickets or get there early to get seats in the Muny free seats. For tickets call (314) 534-1111 or visit online at www.metrotix.com.